While browsing the beauty section at my local Nordstrom Rack store, I came across Burt's Bees Tips And Toes Kit ($12.97). This nifty little set contains travel-sized items that will help keep hands and feet looking and feeling their best. I thought this kit would be a great way for me to try a couple of Burt's Bees products, since I am not very familiar with their lineup of skincare. Thoroughly Therapeutic Honey & Grapeseed Oil Hand Cream: Besides being infused with honey and grapeseed oil, this hand cream also contains jojoba oil which is an amazing moisturizer. This hand cream has a semi-thin texture, and as soon as I start working the cream into my hands I am instantly met with a cooling burst of hydration. I love that this hand cream sinks into my skin quickly without leaving behind a greasy residue, and the honey fragrance of this is just scrumptious. This has quickly become my new favorite hand cream. Coconut Foot Cream: The coconut and the peppermint in this work wonderfully to moisturize and soothe my dry feet. But what really impresses me is how well this foot cream softens my heels, which can be pretty stubborn sometimes. The consistency of the cream is on the thicker side, but it is easily spreadable. After working the cream into the skin, I noticed that my feet had a slick, shiny residue. But after a couple of minutes, the cream sinks in completely and the residue is quickly eliminated. Almond Milk Beeswax Hand Cream: This hand cream is much thicker and richer than the Thoroughly Therapeutic Honey & Grapeseed Oil Hand Cream. It contains sweet almond oil and vitamin e which provide the moisture, as well as beeswax to help lock in the moisture and protect hands. A little bit of product goes a long way, here. If too much cream is applied it can leave behind a greasy and heavy residue. The warm, nutty fragrance is a bit overwhelming at first, but the scent does dissipate after awhile. Replenishing Lip Balm With Pomegranate Oil: I can't get enough of this lip balm. It really does nourish and moisturize my dry-prone lips. The pomegranate scent is just lovely, and I like how smooth this lip balm goes on. It feels so light and comfortable on lips, too. I am more than likely going to repurchase this lip balm when I run out. It's just that good. I am so happy this little treat was included in the kit. Hand Salve: This all-purpose hand salve contains botanical oils, beeswax, and herbs to help nourish and soften hands as well as other dry areas. The consistency of the hand salve is thin and it goes on super smooth with no residue left behind. It contains a light herbal/menthol fragrance that is not overwhelming in the slightest. I like to use this hand salve on dry patches, and on my cuticles as well. Lemon Butter Cuticle Cream: I have never really understood the hype that surrounded cuticle creams, but after using the Burt's Bees Lemon Butter Cuticle Cream, I finally get the excitement. To use, I massage a bit of this cream into the cuticles on my hands and feet, 1-2 times a day. This lemon scented cream has dramatically improved the look of my cuticles. They look much healthier and they feel smoother, to boot. The cream easily absorbs into skin without leaving a residue. Definite repurchase. 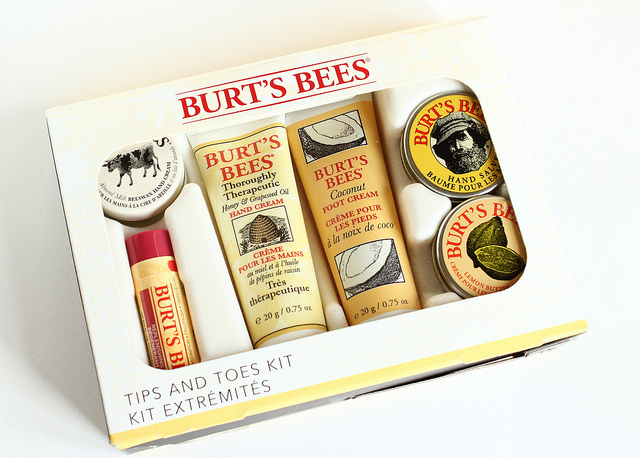 Overall: I am glad that I picked up this tips and toes kit from Burt's Bees. The products are all very softening, and the moisture that I obtained from these was very pleasant. Thanks to this kit I even found a few new favorites that I will be repurchasing again in the near future-the honey & grapeseed oil hand cream, the replenishing lip balm with pomegranate oil, and the lemon butter cuticle cream. I like the fact that Burt's Bees products are not only natural, but they are cruelty free too. 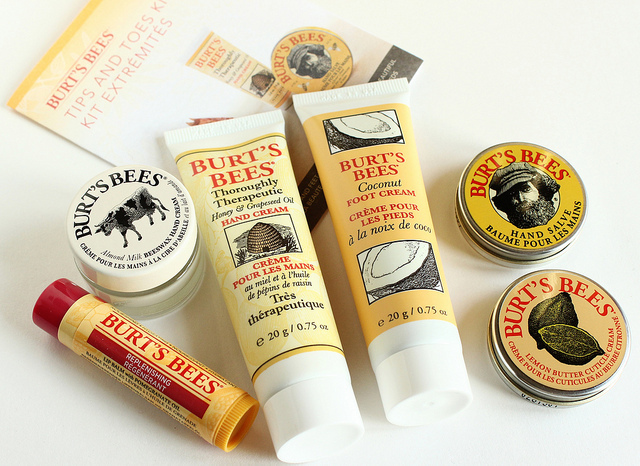 I think those with dry hands and feet will benefit from some, or all of the products included in this kit, and I can't wait to explore more of Burt's Bees products. 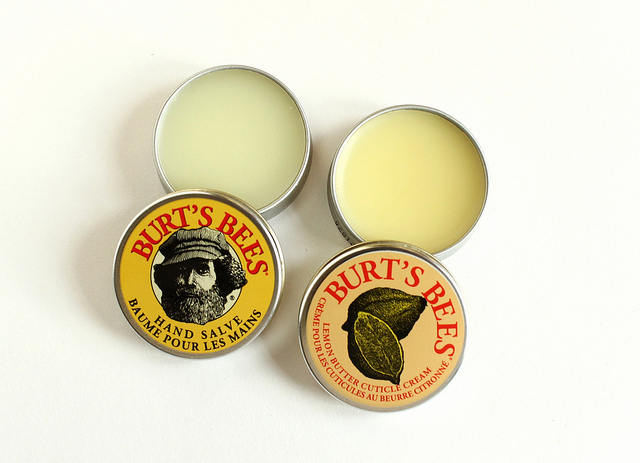 Which are your favorite Burt's Bees products? Nordstrom Rack. Should have known. This is a pretty helpful, kit actually! I wonder if my local one would have it stocked. Thanks for sharing! I am really happy that I stumbled upon this kit, bailey! The items really are neat. 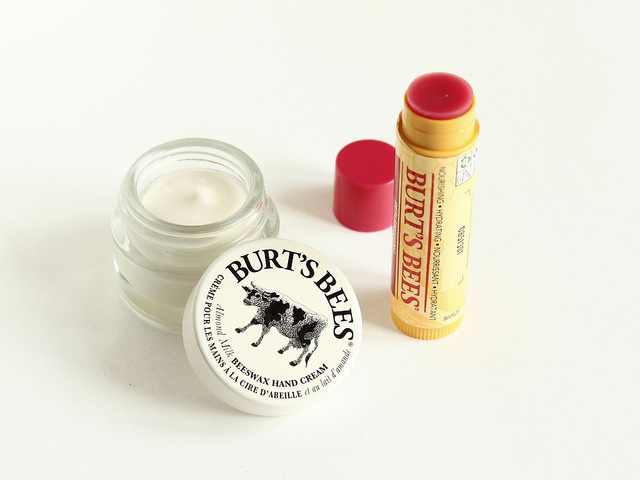 I saw a few other Burt's Bees kits at Nordstrom rack as well, and I am thinking of going back to check them out. Who knows? 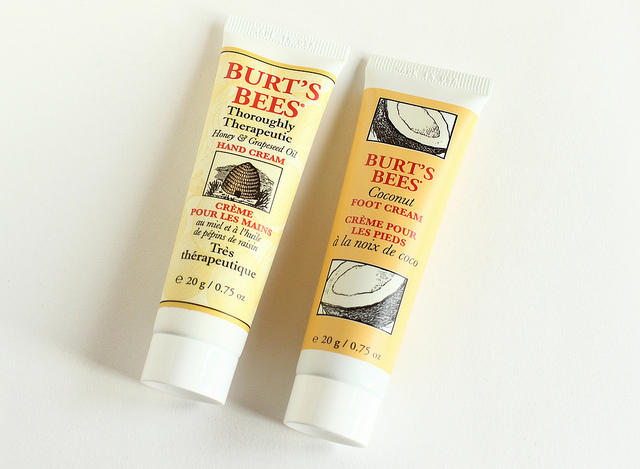 I may just find some more Burt's Bees products to fall in love with! So glad to hear you love this kit! The cuticle cream and the honey and grapeseed oil hand cream are my favorites!